It’s 2018 and judging by the surge of interest worldwide, it could also be the year of Jungle music. 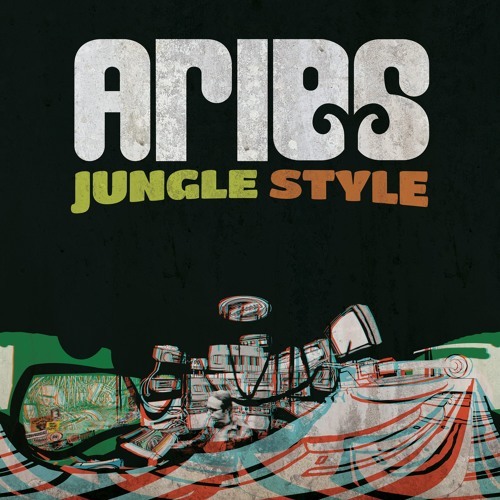 Over in Bristol at Born On Road headquarters the final touches have been put to the long awaited biopic LP from Aries entitled Jungle Style. For an artist who’s spent 20+ years on the road, released 100+ tracks, collaborated with every soundman and his dog and pushed the Jungle sound to it’s absolute limits, this album is something of a lifelong ambition – it’s the summing up of his journey. If somehow you don’t know Aries and the Jungle scene, he honed his self-taught skills whilst living in Birmingham, London and Bristol. His first major release was Herb Smoke in 2006 which is sat comfortably on 3,000,000 Youtube views at time of press – something of an anomaly for Jungle; he’s a key figure in his collective’s – Chopstick Dubplate, Born On Road and Roots Recordings; he holds the 2016 We Love Jungle Award for Best DJ; he’s seen releases on prestigious Jungle labels Congo Natty, Dread and V Recordings; he DJs around the world so much that he has a tune called Worldwide Traveller with Top Cat and Mr Williamz celebrating their humble attitude for the continued use of ropey budget airline RyanAir. His career has been one of continued hard work and dedication to the sound which has paid off in respect from his peers and he now also commands a legion of dedicated followers that show support at his shows and through collecting the music he makes. His LP Jungle Style travels across the spectrum of the Aries sound and – true to form – features many of his nearest and dearest friends. From one angle it’s a who’s who of the A-list Jungle scene that all wanted to come and pay homage to the Aries legacy by being part of the project, and from the other side it was most definitely directed by Aries himself for it’s signature sound. The album was written, recorded and produced across 8 studios in Birmingham, Slovenia, Paris, London and Jamaica then finished off in Bristol, and that isn’t including where some tracks were part-produced with friends from other far corners of the world. It’s difficult to pick out the highlights as the diversity really does shine through which means there is something for everyone so long as you like it rough, tough and dangerous!